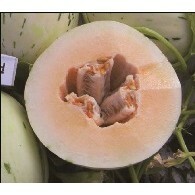 Early matur ing Cantalope type melon. Plants grow vigorously. Harvested fruits are oval shape with good net. Fruit size 1.5~2.0kg. 13~14 Brix with good orange flesh. Small seed cavity. Oval shaped, white skin with green pattern. Firm flesh. High sugar. Low flesh deterioration. Strong roots and plant vigor. White background and dotted green pattern in its skin. High sugar and firm flesh. Good plant vigor. Unique type melon. Oval shape fruit with orange flesh. Firm and white skin with green pattern. High sugar and long shelf life. 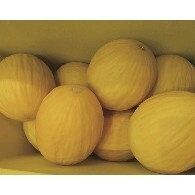 Yellow Canary type hybrid no-net melon with dark yellow skin. Early maturity. Its shape is oval and the flesh color is white. It weighs about 1.4kg and is over 16 brix. Crispy taste. Excellent Honey Dew type Hybrid Melon. Round fruit shape and Light green Flesh. Creamy White skin with 15~17 Brix. Long shelf life. Good flavor. Strong resistant to Fusarium 0 & 2 and intermediate resistant to Powdery Mildew. Honey-Dew Type Hybrid Melon. Round fruit shape with green flesh. Fruit’s Skin is creamy white with 15~17 Brix. Good shelf life. Good aroma. Strong resistant to Fusarium 0 and 2 and Intermediate resistant to Powdery Mildew. Early maturing Amarrilo type melon. Attractive smooth skin and dark yellow color. Firm, crisp and sweet flesh with excellent orange color. Fruit weght 1.5~2.0 Kg. High percentage marketable fruits. Good for transportation. 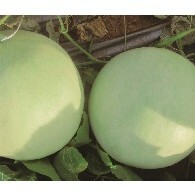 Amarrilo type hybrid Melon with vigorous growth. Oblong fruit shape. Medium to large size. Very firm flesh with excellent flavor and color. Brix between 14~15. Fruit weight 1.8-2.0 kgs. Resistant to Fusarium race 0 and 2. Slight ribbed on outer skin. Amarillo Type Hybrid Melon with vigorous growth and Anasia 6 F1 excellent leaf cover. Uniform Oblong shape. Excellent firm flesh and white flesh. Brix 13-14% and weight 1.5-1.8 kgs, 65 days to maturity, Resistant to Fusarium race 0 and 2. Slightyl ribs on outer skin. Muskmelon hybrid with 70~75 day maturity. Fruit skin is yellow color with deep green stripes while flesh is firm and bright yellow. Flat and round shape, Average weight 0.9~1.0kg. Very uniform fruits and excellent taste. Fusarium Wilt resistance. 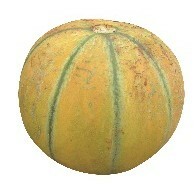 Charontia type melon. Brown yellow skin with green grooves. Orange color flesh. 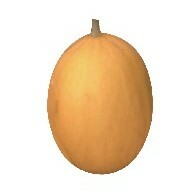 Fruit weighs about 0.8~1.2 kg. Very productive. Possible to make more setting fruits. Suitable for both indoors and open field cultivation. 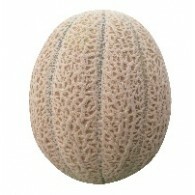 Hybrid ananas type melon with average fruit weight of 1.8~2.6kg. 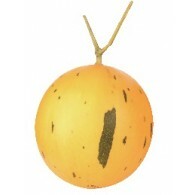 Fruit is oval shaped with good netting on orange skin. Flesh color is orange and has great texture and taste. Resistant to PM(1~2), F1, F2.